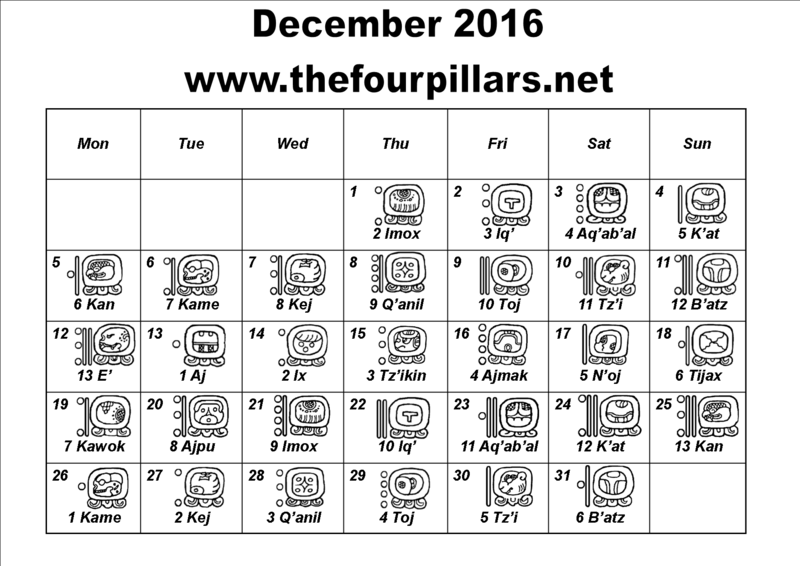 Here are the days of the Chol Q’ij mapped onto the Gregorian month of December 2016. 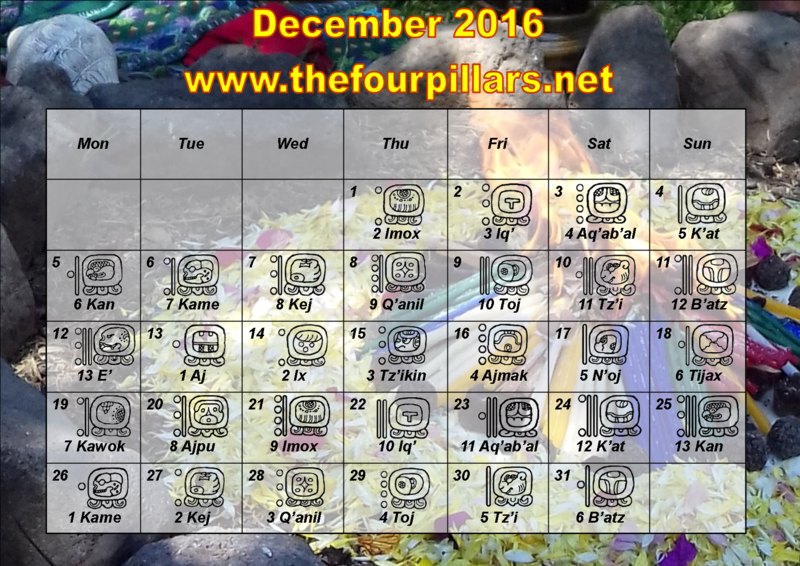 Please click the calendar for a larger version to print out if you would like to. 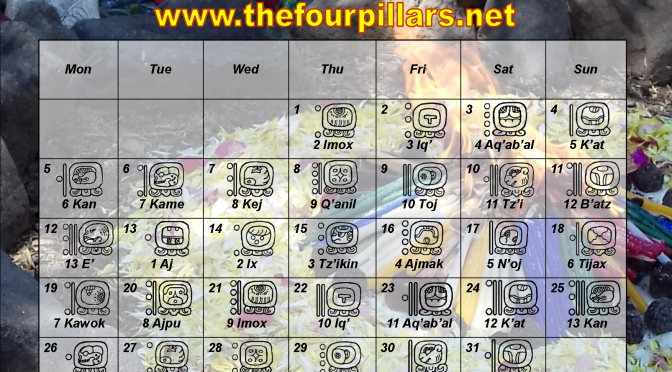 Below the calendar are clickable links to my interpretation of the energy of each of the days.